Gautengers have streamed into the theatre, filling it night after night, and the media has loved it! 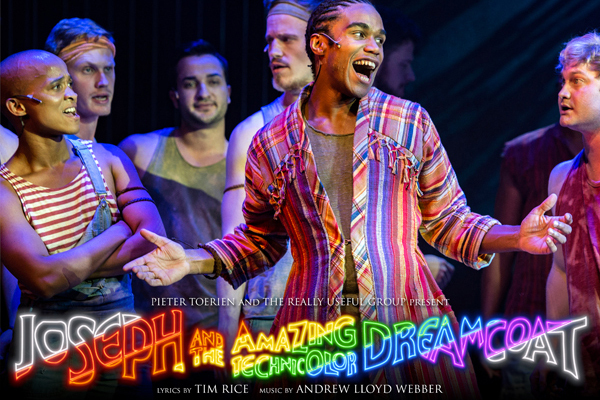 From “dazzling” and “a Joseph of our times” to “sensasionele effekte” (sensational effects) and “hipermodern” (hypermodern) it seems our ‘reinvented for a new generation’ Joseph is hitting all the right notes. A spectacle by all standards, this is a show not to be missed, and we’re sure you’ll agree. Once you’ve seen it, you’ll want to see it again. And if you’ve seen other productions, you’ve never seen it like this before. Tickets are selling fast, so click on BOOK NOW and get yours today! RUNNING UNTIL 07 AUGUST @ Pieter Toerien’s Main Theatre at Montecasino before transferring to Theatre on the Bay in Camps Bay, starting on FRIDAY 12 AUGUST. BOOK HERE, BOOK NOW!